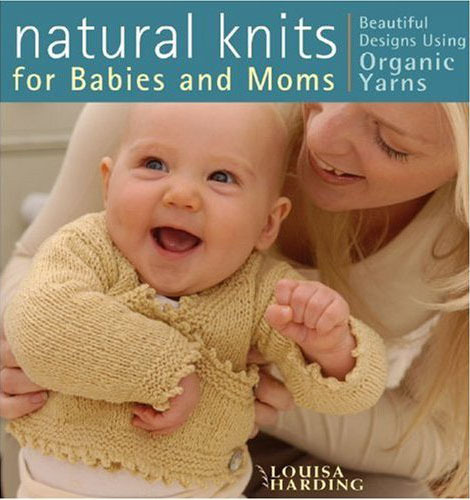 We love this book especially because yarn substitutions are very easy - you can use the recommended yarns (many of which we carry) or sub them out for your favorites - the projects come out wonderfully any way you do them! This Book is out of print and is no longer available in hard copy. This product is a PDF download. This inspired collection of patterns for mother and baby includes designs with a simple flare and an elegant, modern feel for use with organically grown, undyed yarns. The projects are designed for beginning to average knitters so that essential baby accessories such as booties, mittens, hats, and simple knitted toys are quickly completed and instantly cherished. A cot blanket is an example of a group project designed to be made in one evening, and slightly more ambitious designs include an adorable dress, a chunky jacket, or a kimono sweater for a baby and wonderful, cozy items for mothers such as an unusual "bump" sweater for pregnant women, nursing sweaters that are convenient and stylish, and herb-scented pillows that delight the eye and soothe the spirit.